It’s easy to think of something that’s “routine” as being less important. When it comes to your dental health, however, your routine cleanings and exams could mean the difference between a healthy smile and one that needs serious treatment. At Drummond Dental Group, we’re committed to helping you keep your naturally healthy smile. Our dental team combines their skill with innovative dental technology to provide the best possible care for you. Read on below to find out more about how your six-month checkup is protecting your smile! What are Preventive Services and Why Do They Matter? Preventive dentistry is all about minimizing health problems and preserving your natural smile as much as possible. Rather than waiting to treat problems when they occur, preventive dentistry is proactive, using exams, cleanings, and other treatments to keep issues from happening in the first place. What Counts as a Preventive Service? What Happens When I Visit the Dentist for the First Time? Your first visit to a new dentist is all about getting to know you and your dental health. The dentist performs a thorough exam of your teeth, gums, jaw, and neck. An x-ray is also taken to help identify any health concerns hidden below the surface. 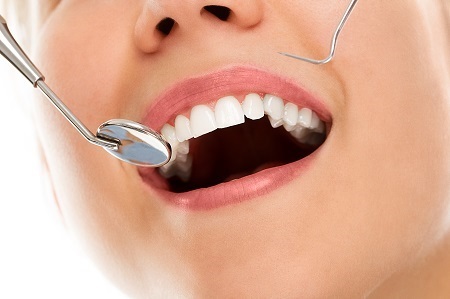 The dentist also takes the time to talk with you about your oral health. These discussions are used to learn more about you, what problems you might be facing, and what concerns you have about your smile. The dentist can answer any questions you have and work with you to build a treatment plan according to what he finds during the exam. Depending on how long your exam takes, a dental cleaning may also take place on your first visit. If not, the cleaning can be scheduled for a later date. Why Do I Need a Dental Exam Every Six Months? Your six-month dental exam serves two major purposes. First, it gives the dentist a chance to build up a dental history. This will help identify patterns in your dental health and make it easier to spot when something changes. Second, it gives the dentist more opportunities to catch developing problems. This allows you to receive less invasive treatment early on, rather than more drastic and expensive treatment later. What Happens in a Dental Exam? A dental exam covers four different aspects of your oral health. Each gives the dentist a different picture of your oral health and helps us to make recommendations based on your dental needs and goals. What we look at - We examine the full chewing surfaces of each tooth, as well as their internal structure through x-rays. We also check the conditions of any restorations, such as fillings or crowns. What we look for - When checking your teeth, the dentist looks for any signs of cavities, cracking, or uneven wear. Restorations are also checked to see if they have become damaged, dislodged, or if the seal around them has broken. What we look at - The dentist checks the conditions of the gums, jaw bone, and tooth roots to verify that your teeth are secure and that there is no risk of tooth loss. What we look for - Any signs of gum disease, such as gum inflammation, pockets forming beneath the gum line, and gum recession. We also check for signs of bone loss in the upper and lower jaw. What we look at - We check to see how well your teeth meet together when chewing and speaking, and whether this is causing any health problems. What we look for - We look for signs of uneven wear on the teeth, misalignment in the way the teeth meet, and difficulty biting or chewing. What we look at - This assessment helps us to identify cosmetic issues and determine whether cosmetic services may be helpful. What we look for - Cosmetic issues can include staining, misshapen teeth, chips, cracks, gaps, and crowding. We also check the gum line to see if it is healthy and even. What Tools Do You Use in a Dental Exam? There are several tools we use during the exam to help you stay healthy. Our office relies on several innovative tools and procedures to ensure we have a comprehensive understanding of your health. A variety of hand tools allow us to check various aspects of your mouth. This includes looking for any plaque or tartar buildup, checking the depth of pockets below the gum line, and checking for signs of cavities. Our office is equipped with a dental microscope, which we use during exams and treatments to learn more about your health. X-rays allow us to check for bone loss, cavities, and underlying tooth problems. We also use them to plan treatments such as dental implant placement. Even if you brush, floss, and use mouthwash every day, there are still going to be things you miss. Over time, plaque hardens into tartar, which can’t be removed with a toothbrush. With special tools, training, and a better ability to reach certain areas, the dentist or hygienist can provide a much more thorough cleaning than you can do at home. Removing tartar buildup helps to prevent cavities and gum disease, and makes your mouth feel fresh and clean. Plaque and Tartar Removal: Special tools help to remove hardened tartar around and beneath the gum line. Power Polishing: A special polish removes surface stains and smooths out your enamel, making your teeth lustrous and healthy-looking. 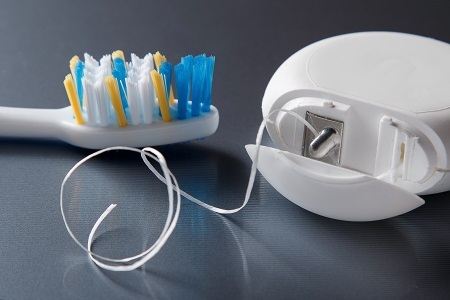 Professional Flossing: Just like at home, the hygienist flosses your teeth to remove any debris and plaque. Since they have added training (and a better angle), professional flossing can generally accomplish more than flossing at home. Fluoride Treatment: Fluoride helps to protect the teeth against cavities between treatments. Since fluoride is also found in other dental care products, this particular treatment may not be included in every treatment depending on the patient’s dental situation. Sealants may also be added during a cleaning. These thin plastic covers shield teeth from bacteria, reducing the risk of cavities, and last several years. While mostly applied to children, who can’t brush as effectively, they can also be beneficial for adults in certain circumstances. Can the Dentist Tell if I Don’t Brush? Yes, and also no. The dentist can tell when your teeth and gums are unhealthy, such as having multiple cavities and gum disease. In many cases, poor oral hygiene is a leading factor in your oral health. However, it’s also possible to practice good oral hygiene and still have dental problems if there are other factors at play, such as smoking and taking certain medications. Some people even have genetics that predispose them to dental problems. The dentist will ask you what your hygiene habits are normally like during your exam. It’s important to be honest with the dentist; even if you feel embarrassed, giving misinformation makes things more confusing and can lead to a wrong diagnosis. Remember that the dentist is on your side – our goal is not to judge your health, but to do all we can to help you have healthy teeth! Gum disease is a condition where bacteria and plaque cause the gums to become irritated, inflamed, and gradually infected. There are two levels to gum disease: gingivitis, where the gums are inflamed, and periodontitis, where they have been infected by bacteria. Gum tissue serves to both keep your teeth secure and protect them from bacteria. When gum disease takes hold, the gums weaken and eventually shrink, exposing the tooth roots and increasing the risk of tooth loss. Gum infections can also spread throughout the body, causing secondary infections that can even reach the heart or brain. Will a Cleaning Cure Gum Disease? One cleaning alone is not a cure for gum disease. However, a dental cleaning does remove the buildup of plaque and tartar that cause gum inflammation. If you have gingivitis, the earliest form of gum disease, regular cleanings combined with good hygiene and a healthy diet can allow your gums to heal. If your gum disease has advanced to periodontitis, more intense treatment will be needed. The dentist will help you understand the condition of your gums and what treatments will help restore your healthy smile. As your dentists, we do all we can to keep your teeth healthy whenever you come to see us. However, it’s up to you to do what you can to protect your oral health between visits. We want to be your partners in dental health – that’s why we take the time to make sure you have the knowledge, tools, and information to provide your teeth with the best care possible at home. How Do I Get Better at Caring for My Teeth? Our Top 7 Tips! Taking the best care of your teeth can seem daunting, even impossible at times. But it doesn’t have to be hard! Small steps can add up to make a big difference. Here are our 7 best tips for taking great care of your smile. Limit sugars and acidic foods. Don’t use your teeth as tools. Chew sugar-free gum with xylitol. If you find yourself feeling guilty about what you aren’t doing yet, remember that doing something, even infrequently, is better than doing nothing! As long as you practice the basics and look for opportunities to take care of your teeth, you’ll be well on your way to a healthier, happier smile. The dedicated team at Drummond Dental Group is passionate about our patients’ health. We love providing the care and attention your smile needs to stay healthy and beautiful. Contact our office and make an appointment to get started today!